The perfect club fitting tool used around the world by leading club manufacturers. This is one of the smallest and most technologically advanced club fitting tools on the market. NOW : Runs on Windows, Run your TruGolf E6 Golf Simulation software using this affordable Flightscope unit. This unit is a huge game changer from a Golf Simulation perspective. 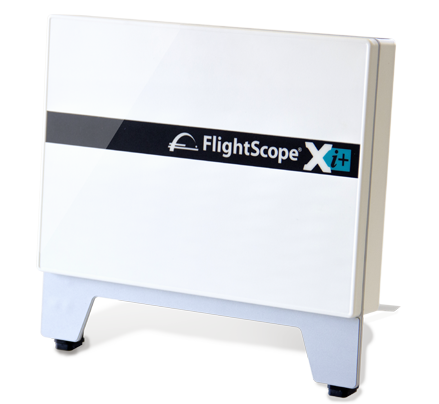 The FlightScope Xi+ offers club fitters with a wealth of information that ensures their customers a unique and professional club fitting experience. The Xi+ can be used both outdoors and indoors and will require only a minimum total distance of 16 feet from radar to net for indoor use. 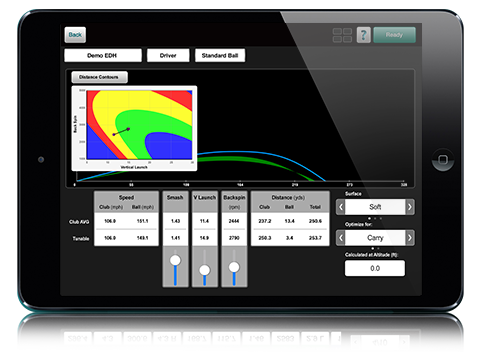 Combining the Xi+ radar unit with FlightScope’s customized Xi+ app provides the club fitter with state of the art technology that enables club fitters to truly transform their golfers’ game to the next level. With all these features club fitting has never been easier. You can even use the Driver Optimizer to fine tune your students’ driver performance, using the interactive tool you experience real-time projection by manipulating the Vertical Launch Angle and Back Spin. 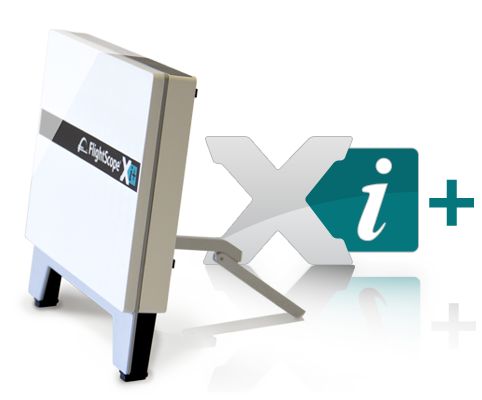 With the FlightScope Xi+ you have access to all the data parameters necessary for the ultimate club fitting experience in one central location. With FlightScope’s Detailed Data Analysis tables you can quickly delete the outlier shots and compare club averages or do a distance gapping. Short Indoor Mode: The distance from the tee to the FlightScope sensor should be exactly 8 feet. For the most accurate measurements in this setup, there must be at least 8 feet of ball flight. 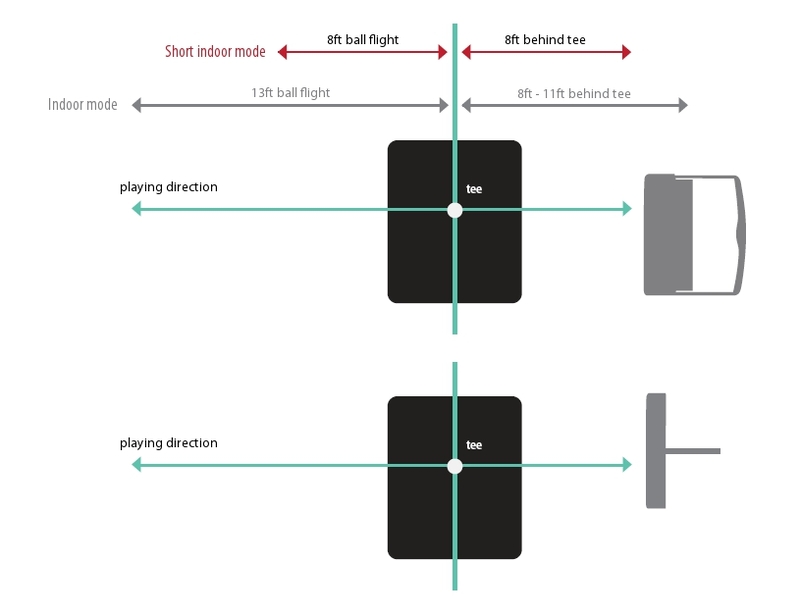 Indoor Mode: The distance from the tee to the FlightScope sensor should be 11 feet. For the most accurate measurements, there must be at least 13 feet of ball flight. Please ensure that there are no obstructions between the FlightScope sensor and the tee. Ideally, fluorescent lights should be avoided; incandescent, halogen or sodium lights are acceptable. If the location has fluorescent lights, aluminium insect screens available from any hardware store (Lowe’s or The Home Depot) can be used to shade the lights.